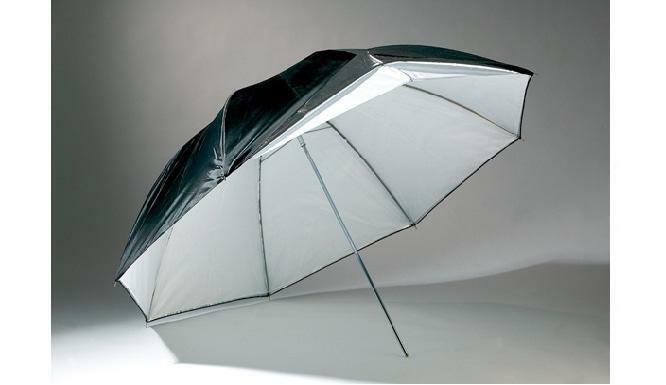 Umbrellas provide a wide angle of light spread and total light coverage, particularly when used in bounce light situations. 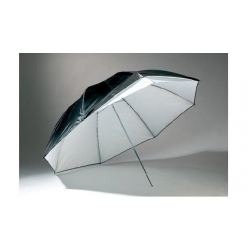 This reversible umbrella offers 2 different qualities of bounced light with its reversible sides: a high contrast silver bounce and a soft white bounce. The silver side provides a high output bounce that increases contrast, while the soft white side provides a softer source that brightens the total scene.